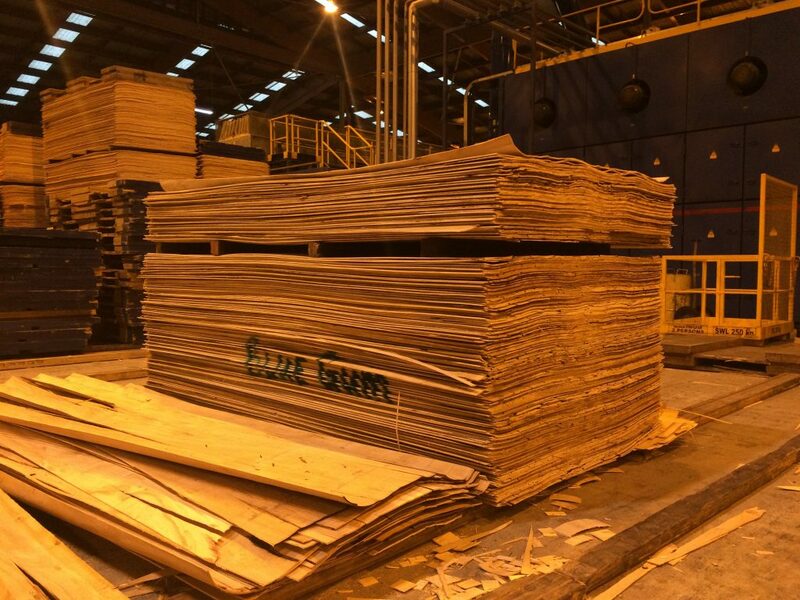 Growth-strain is the single most important reason why most eucalypts grown in plantations are chipped for the pulp and paper industry rather than converted into solid wood products. Growth-strain manifests itself during solid wood processing by log splitting and log deformation. Measuring growth-strain is challenging, but we have developed a novel methodology to assess growth-strain quickly and reliably in young trees by splitting. This test simulates solid wood processing rather than small scale internal stress measurements. The challenges of growth strain in eucalypts. Splitting samples to test for growth strain in the lab. 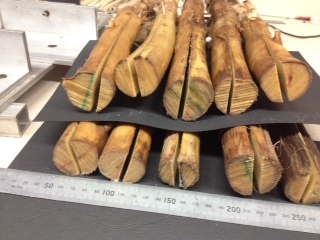 The School of Forestry Wood Quality team has recently produced two new reports, summarising a key component of the Growth Strain project - the harvest and testing of E bosistoana stem samples grown at Woodville Nursery. Part of the SFF project 'Minimising growth-strain in eucalypts to transform processing' is a peeling/LVL trial to test the suitability of NZDFI eucalypts for LVL production. These eucalypts have a higher stiffness and density than radiata pine. They are also naturally durable. On the other hand, they are more challenging to process. 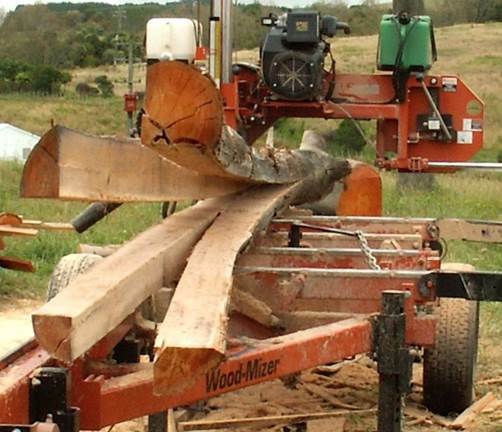 Logs often split making peeling into veneers difficult. Splitting is thought to be associated with internal growth-strain in the trees. Ultimately our aim is to select superior trees for breeding with low growth strain properties. Clipped eucalyptus veneer sheets after processing ang NPI. 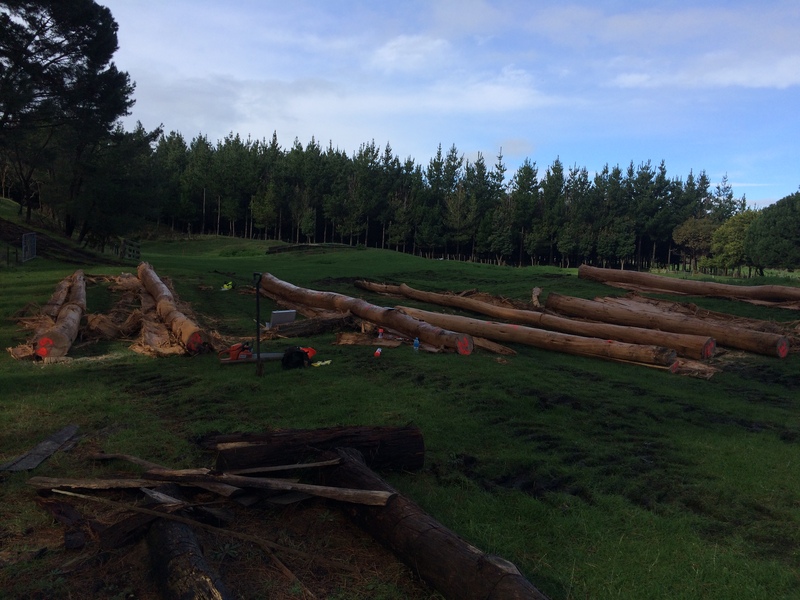 Dr Clemens Altaner leads the NZDFI wood quality research team at the School of Forestry. PhD researchers working on aspects of wood quality are Nick Davies and Fei Guo. Visit the School of Forestry website to learn more about wood quality research.